Do you remember the Cupcake Fondue from several months ago? 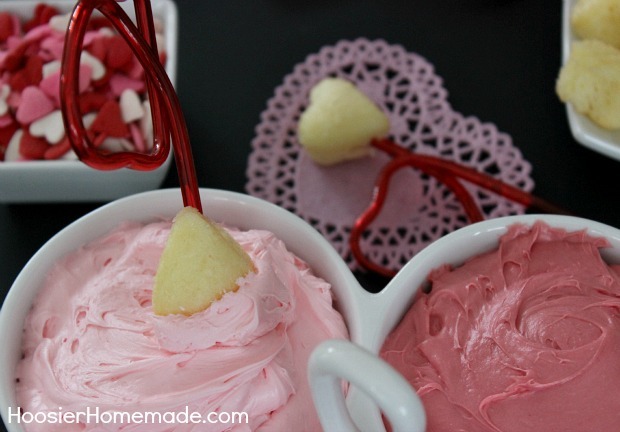 Well with all the adorable sprinkles, I couldn’t help myself…I just had to make a Valentine’s Day Cupcake Fondue! 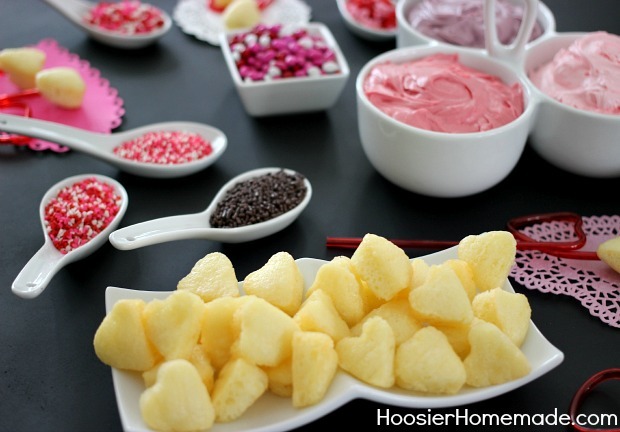 Fondue = dipping small pieces of food into melted cheese, chocolate…or frosting! 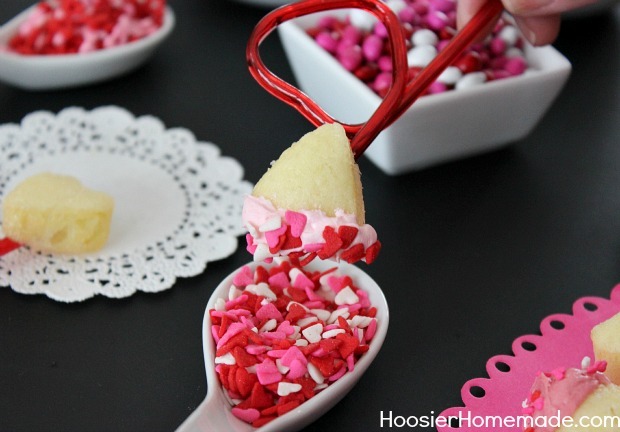 Cupcake Fondue = fun, quirky, delicious! 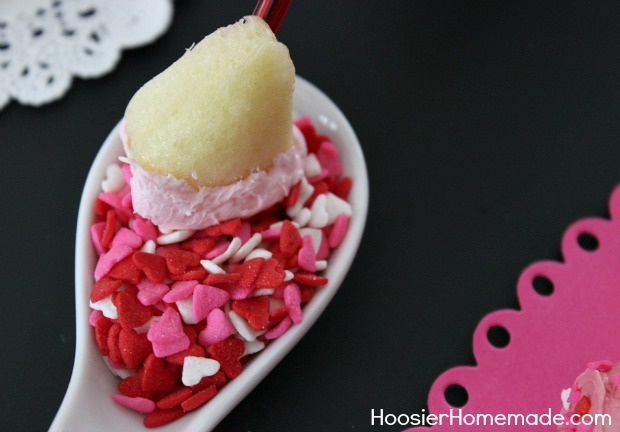 Valentine’s Day Cupcake Fondue = just…plain…fun! The mold did melt a tiny bit, so I would suggest watching it closely. Most any frosting will work as long as it’s soft. 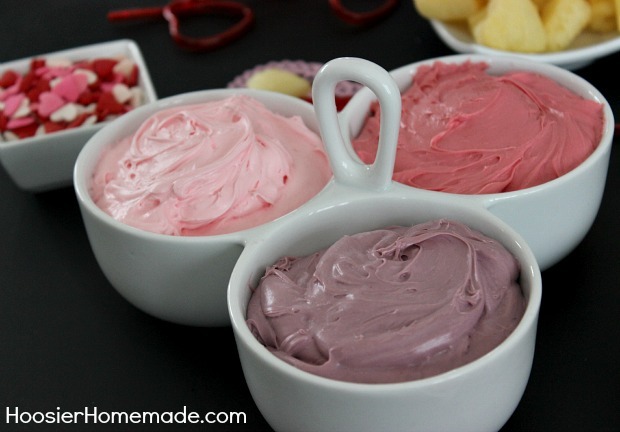 I used Duncan Hines Frosting Creations, with Bubble Gum and White Chocolate Raspberry flavoring. I also wanted to try another brand this time to see if it worked, so I used Betty Crocker Whipped Strawberry, while it was a little thicker, it still worked fine. 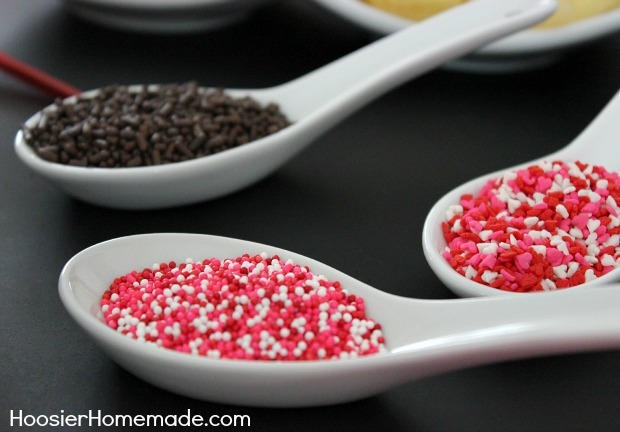 And then the sprinkles…any will work just fine, have fun and use your favorites! 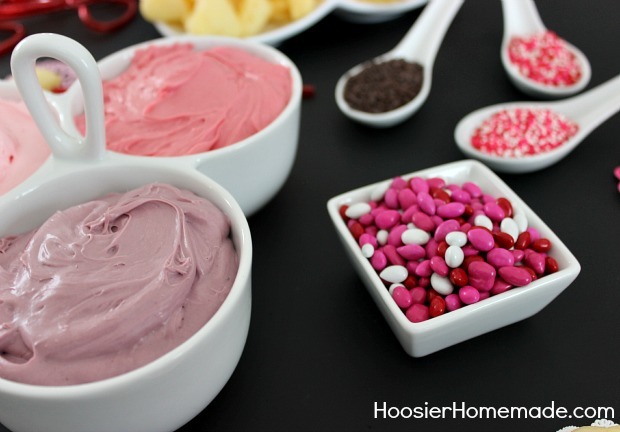 I also used Candy Coated Sunflower Seeds, the Valentine’s Mix, available at most retailers and craft stores. I found these at Hobby Lobby. I also bought mini M&M’s in a Valentine tube, but they were not Valentine colors, so I opted not to use them. 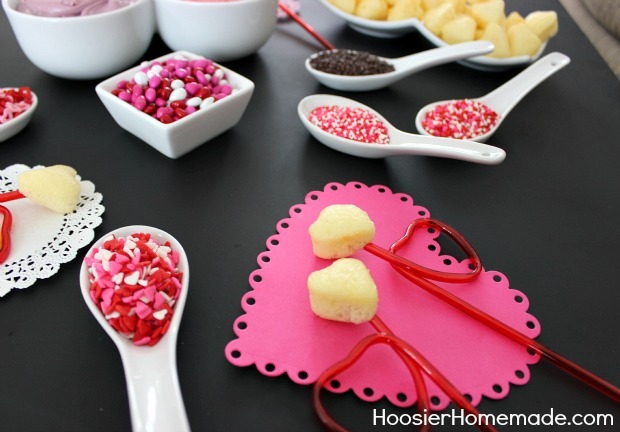 The heart straws are fun, but if you can’t find them, you could also use skewers, plastic forks or straws like I did with the original Cupcake Fondue! 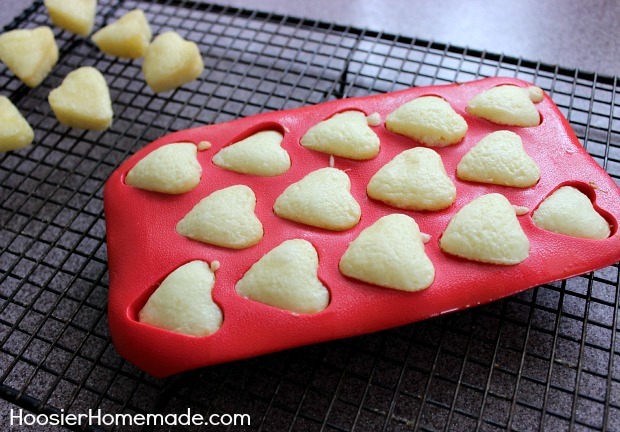 What a fun treat for a Classroom Valentine’s Day Party! Where did you find the heart straws? Hi Sherri, The heart straws are from last year, but I believe I found them at Walmart or Target. You might also check Hobby Lobby, Michael’s or Party City. I pretty much buy everything at those places. Thanks Trish! 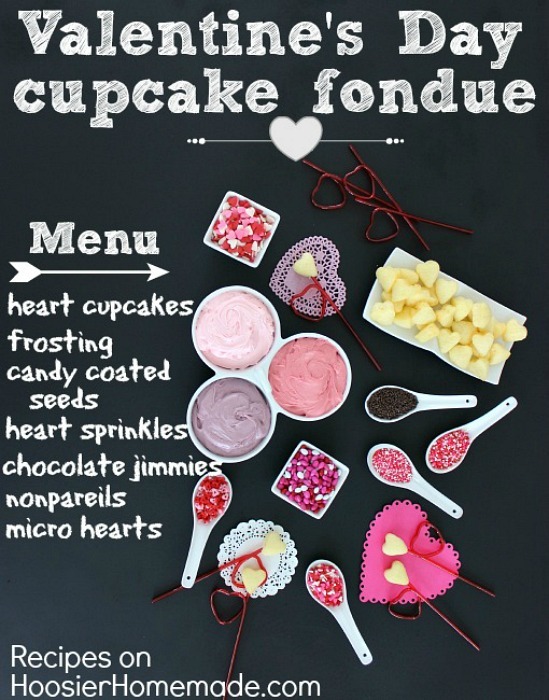 The cupcake fondue is definitely fun!